For many schools, sports are now generating more than $100 million annually. Much of that money is from the ever-growing revenue generated by conferences through television deals. On the next few pages we will take a look at the 25 athletic departments that generated the most revenue during the 2011-12 school year. And it is easy to see why schools are fighting over invitations to the Big Ten and the SEC. Of the 25 schools on this list, 16 are from one of those two power conferences. Some sports employers- still require a list of references. Generally, this list is made up of a few professionals whom you have worked with in some kind of capacity in the past. These people have agreed to be contacted on your behalf in case a potential employer wants to learn more about your work experiences. Ideally, your reference list is made up of individuals who can vouch for your skills and services and make you look like an all-star. The PGA Tour agreed to a multi-year licensing agreement with global restaurateur HMSHost last week, which will create an airport-based restaurant chain. Each location will be customized to reflect the surrounding communities and tournaments they host. Other PGA players and initiatives will also be showcased. The restaurants will blend classic with modern, a press release said. Customers will view golf tips and menus on iPads. Each device will have nutritional facts for the dishes on the menu as well as varietal information on the wine offerings. Global positioning system (GPS) developers Garmin have been announced as the official sponsors of the FIS Nordic World Ski Championship 2013 in Val di Fiemme, Italy. The deal, financial terms of which were not released, will see the official tracks of the cross country ski competition tracked and digitalised using the US company’s GPS technology. “Having free access to the digitalised, original tracks of the World Championship is an exciting opportunity for all cross country skiing enthusiasts,” said Matteo Bortesi, product marketing manager, outdoor and fitness at Garmin Italy. Help your salespeople get better by making them do something old-fashioned…read. I received an email last week from a young salesperson asking what books I recommend she read to improve her sales techniques. I went to Amazon.com and searched sales techniques and found 13,702 choices. I could understand why she wanted someone else’s opinion on which books to read. For sports fans, the action is increasingly on Twitter. That’s where news breaks, athletes give unprecedented access into their lives and a virtual sports bar of millions of passionate fans is just one click away. Sports and Twitter intersected more than ever in 2012 (as will likely be the case again in 2013), and with just a few weeks left in the year it’s time to take a look back. Twitter itself released a year-end recap of the social network’s top tweets and trends of 2012 on Tuesday morning. Its sports section is worth a closer, isolated look to revisit some of our favorite memories. With another bowl season upon us, college football fans are looking for some kind of an angle in their office pool or want to drop some knowledge and impress their buddies while they’re watching the games. ESPN Playbook decided to take a deeper dive into the records of the 11 Football Bowl Subdivision conferences to see which schools have won the most conference championships since the 2000 season and, further, which conference’s champions have done the best in their bowl games? One note on our methodology: Some of the conferences don’t have championship games or have added them since 2000. Thus in some years, some conferences had co-champions, which we counted as a full championship for each team. That’s why, say, the Big East has 21 champions in this time span (9-12 in bowls), while the Big 12 has just 12 (5-7 in bowls). [easyazon-image align=”left” asin=”0763796077″ locale=”us” height=”150″ src=”http://ecx.images-amazon.com/images/I/5155MyVBuoL._SL160_.jpg” width=”150″]When sports business professionals think about working in sports management, usually the thought of potentially becoming General Manager of one’s favorite sports franchise comes to mind. 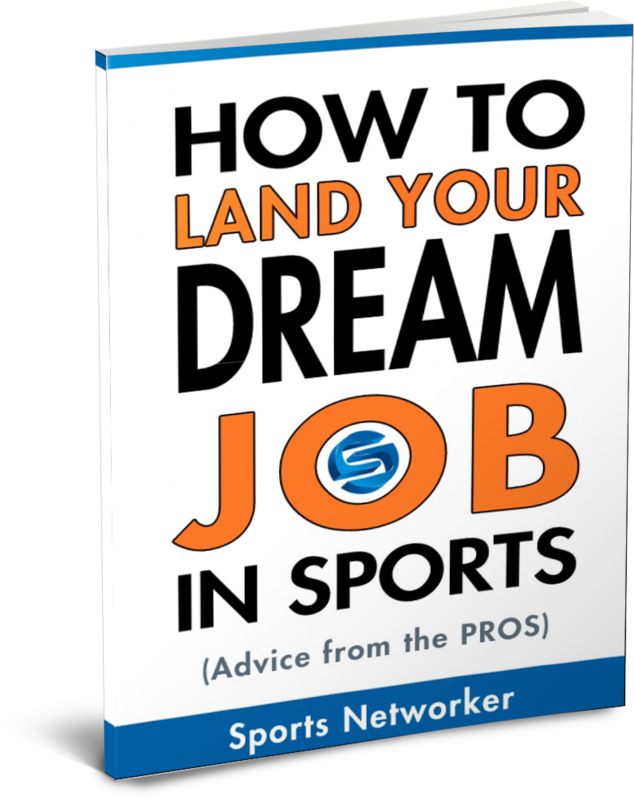 However, the all-encompassing world of sports management is a lot deeper than teams’ front office personnel or a top-tier sports agency firm. Imagine pushing your body to its absolute limit and then finding a liquid-filled device that lets you push it even harder and longer than ever before — perhaps as much as double your previous limit. No, it’s not a syringe filled with anabolic steroids we’re talking here, but a mere glove, a light vacuum and some ice water that has been statistically proved to be just as effective. The San Francisco 49ers and Golden State Warriors use it, as does Stanford’s entire football team, whose players even wear it during games. What is it? A glove that’s potentially the future of sports science, without the doping.